I was supposed to attend Nord Schlag in Edmonton Alberta this past weekend but unfortunately once I got to Chicago I discovered that they canceled my flight to Edmonton and I could not get there until Sunday afternoon…when the even was just about over. After a two hour wait in line with hundreds of angry passengers, I was able to squeeze in on a stand by for a flight back home. I slept much of Saturday away after being up all night. With the impending bad weather here in Ohio, I decided to just not tell my guys here that I would be home for our regular session. Luckily Chris forgot I was not going to be here and came out anyway…good thing because I really wanted to do some training after a day of total rest. We then did some work on attitude and closing lines while leaving some open. We then went over the half-round blow from RAF fisticuffs…and interesting two punch combination that is better seen than imagined. I will try to get a video clip of that soon. We ended our session shillelagh in hand…we went over the entire Foot Pad and Cane style as well as Percy Longhursts advice for fighting with a blackthorn. Footpad and the Cane is rather sparse, I like it a great deal but adding the Longhurst material makes it a little more complete. Took the low turnout to work on a few techniques and review a few concepts we have not touched on for a while. With Savate we worked both the fouette and the chasse with passing steps, covering a massive amount of distance to attack. We also worked a lead leg low fouette. Boxing…we worked on the corkscrew hook, putting into a combination from both sides. We also worked on the Miske twist. We did this from both sides ad worked the twist both defensively and offensively. Not a real sweat inducing workout but a technical one. Sometimes this sort of session just feels right, this was one of those times. 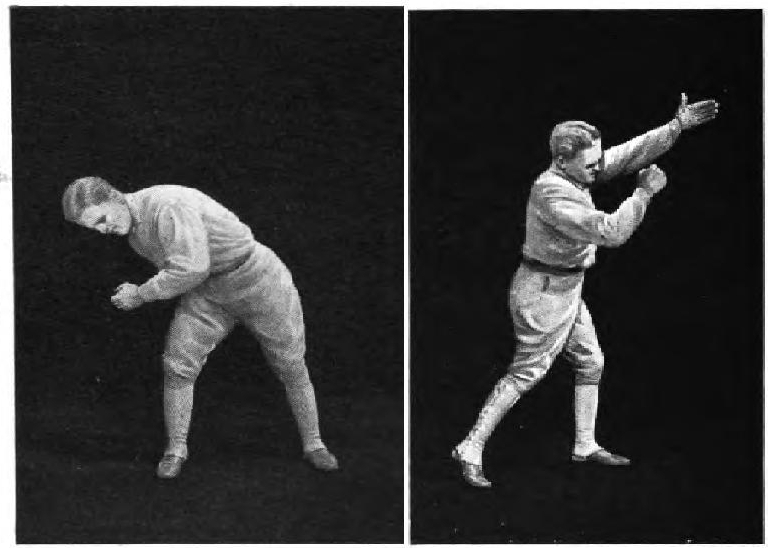 Work on ground striking and seated boxing…on knees in distance boxing. Very rough but fun. Again Von Auerswald’s wrestling…review and continuation onto plate 12 I think. Things working extremely well. 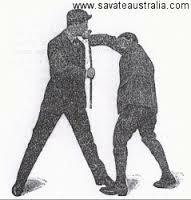 work on coup di pied bas and chasse bas from savate. Straight lead, straight rear coup de pied bas and or chasse bas. Worked on some clinch fighting, in particular defense again a Thai plum clinch. Also worked options from under hook and over hook positions. 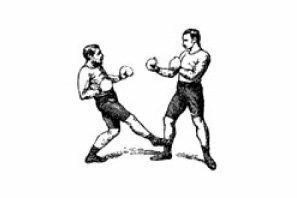 We then worked on the concept of rhythm in our boxing, getting our punches closer together rather than faster was one aspect of our rhythm training borrowing concepts from music theory…we also worked on breaking our rhythm as a tactic during sparring. Last for our striking was a little work from the clinch, tying up the arms to clear a path for heavy body and back of the head shots. 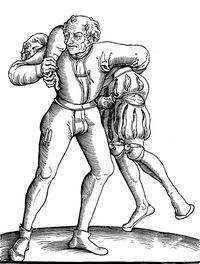 Our grappling today was Von Auerswald again…reviewing the first series and getting into the Durchlauffen and Arm Winding this time. Great deal of fun…will continue with this. Just Chris and I today…I am still under the weather a bit but it felt good to get some sort of workout in. We then spent about a half hour to 45 minutes working on footwork,squaring up while throwing punches, slingshot stepping in and uppercutting or body hooks. We ended our session on time…a rarity. Looking forward to gettting back into some heavy training this week.